Gandi is a HUGE male with an adult weight expected to be 110 lbs. 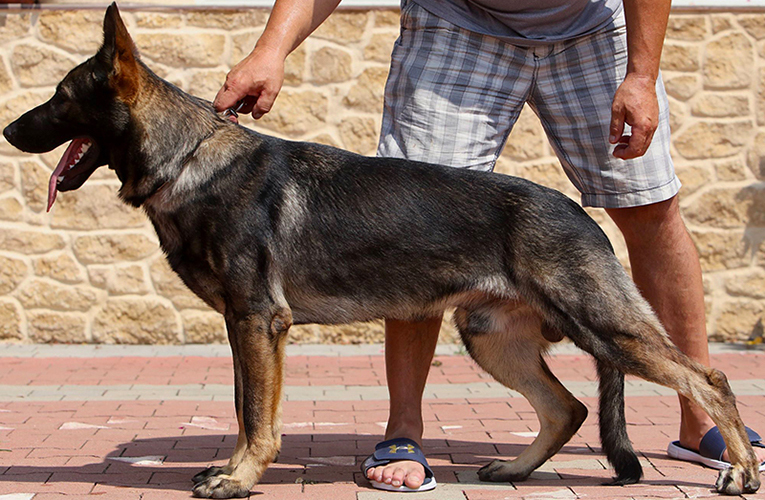 Almost unheard of in European German Shepherds. 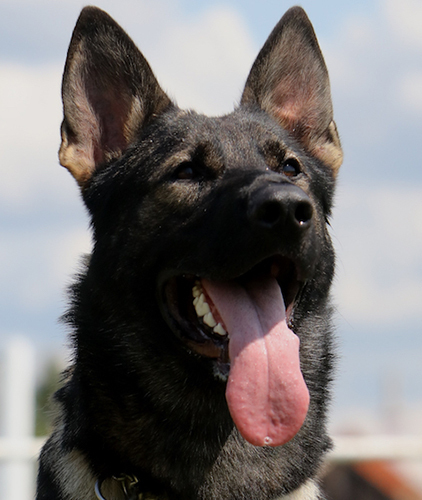 In spite of his size Gandi is extremely motivated, fast and has style with everything he does from competitive obedience, jumps, dumbbells to protection. 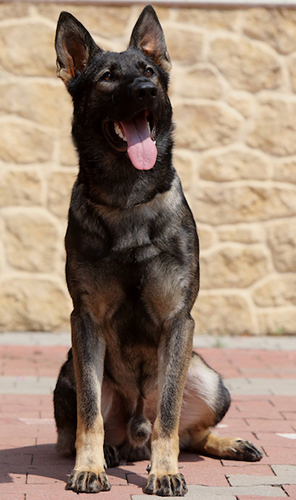 There are very few German Shepherds who reach his size (70 cm at the shoulders) and even fewer that have his working ability. His protection stands out in drive, bone crushing bite and willingness to endure pressure in any form. 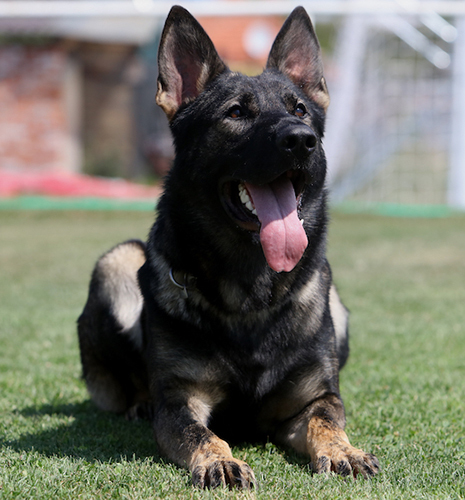 As with the majority of our dogs Gandi has been selected not only for his skill but his personality. Gandi is as friendly and affectionate as they come. That includes children and guests invited into your home.